NBC's internal investigation of Brian Williams remained under wraps Thursday after the network concluded that his exaggerations and moments of "misremembering" were not severe enough to fire him. But the network's reluctance to release the report conducted by senior executive producer of NBC's investigative reporting Richard Esposito left many questions unanswered. An NBC spokesman said on Thursday that no further information regarding the investigation will be released. In a statement Thursday, NBC said the internal report reviewed "significant reporting in the field and commentary related to that reporting on NBC News platforms and in other public appearances over a period of more than 10 years." 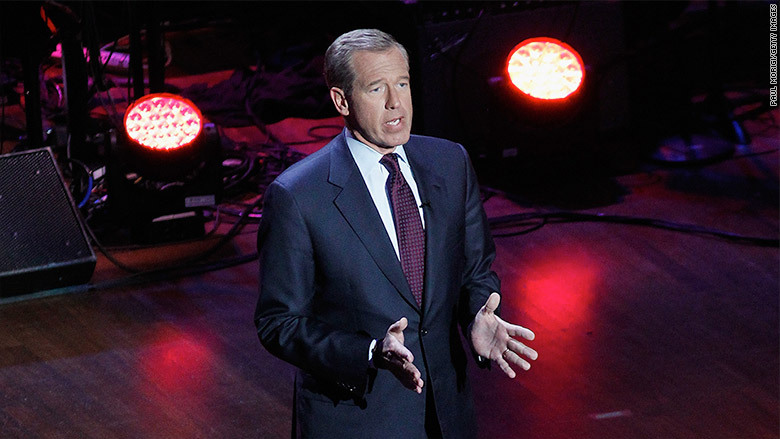 Some questioned NBC's refusal to release the results of the internal investigation. 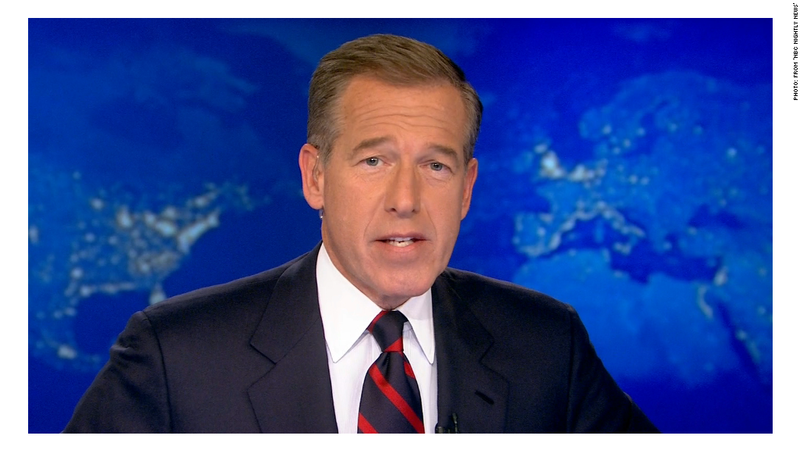 "I think NBC is right about giving Williams a second chance after removing him from the top role. Any journalist in whom the network has an investment should be given that opportunity to come back and shine again as an excellent journalist," Jay Rosen, who teaches journalism at NYU and writes the press criticism blog PressThink, told CNNMoney. "But how can that rebuilding happen if we don't know all that collapsed? How can a restoration of trust in a journalist occur if the breach of trust isn't made clear?" Rosen asked. This was the exaggeration that started it all. 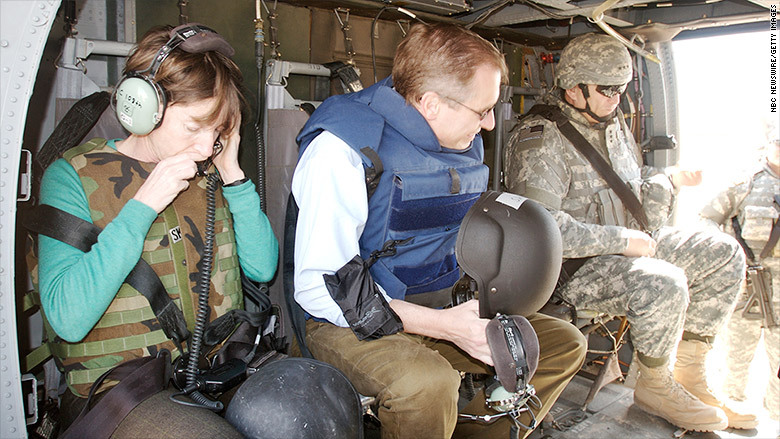 Over several years, Williams recalled a 2003 war story about being aboard a U.S. Army helicopter in Iraq when the chopper was forced down due to a rocket-propelled grenade. When Williams made the claim again in January, Stars and Stripes reported that Williams was "an hour behind the three helicopters that came under fire." The anchor then recanted his story and apologized on the "NBC Nightly News," but the damage had been done. The story would lead to the network's internal investigation and the anchor being suspended for six months. Hurricane Katrina, one of Williams' most prominent assignments, was also closely examined after Williams said that he saw a dead body float by his hotel in the French Quarter. Some doubting Williams' story said that the Quarter had remained mostly dry during the 2005 storm that ravaged the city. Lt. General Russell L. Honoré, who lead humanitarian relief following the storm, told CNN's Brian Stelter in February that the story was "very suspect." "If he saw a body floating by his hotel, why didn't he go grab it? Why didn't he get somebody and report it?" Honoré said at the time. In February, The Huffington Post reported that questions had arisen over Williams' claims of flying into Baghdad with SEAL Team 6 in 2003. CNN national security analyst Peter Bergen said at the time that sources in the SEAL community told him that journalists are not embedded with that particular unit. Williams being at the Berlin Wall the "night the wall came down"
Throughout the years, Williams boasted about being present for the destruction of the Berlin Wall as a reporter for WCBS-TV New York. Williams went as far to say that he was there "the night the wall came down." That night is considered by many to be Nov. 9, 1989 where the only American anchorman to be present was the man who preceded Williams' on the "Nightly News," Tom Brokaw. Williams was there to see part of the wall come down, but some have scrutinized his claim he was there on that certain historic night. In April, The New York Times reported that Esposito's inquiry into Williams found a "discrepancy" with Williams telling Jon Stewart in 2011 that he made eye contact with a horseman in Tahrir Square during the Egyptian protests of that year. Williams said that the rider "went around the corner" after they made eye contact and then begun whipping and beating protesters. 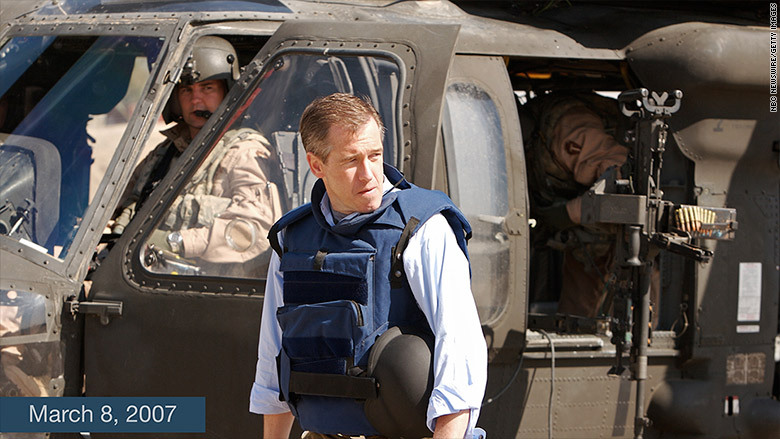 However, NBC News' coverage of the conflict that day reportedly doesn't show Williams in the square. Instead, the footage of Williams' report shows him covering the event from his hotel balcony overlooking Tahrir Square.